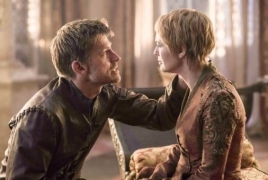 PanARMENIAN.Net - A rep from HBO has revealed that an airdate for “Game of Thrones” hasn’t been announced, but as HBO’s president of programming, Casey Bloys, said, the show will be appearing in the first half of 2019, Huffington Post reports. That’s right. He said the show will be eligible for the 2020 Emmys, not the 2019 Emmys, meaning it would be airing the bulk of its expected six episodes after the 2019 deadline: May 31. Earlier this year, rumor had it that “Game of Thrones” Season 8 would begin airing sometime in April 2019. The gossip started with a quote Maisie Williams allegedly gave Metro in the U.K., which she later denied. Still, fans hopped on the date and rally around it to this day. Bloys said the show would be premiering in the first half of 2019. And in order to qualify for the Emmy Awards in ’19, a series must air between June 1, 2018, and May 31, 2019. So if HBO wanted the final season of “Game of Thrones” to be considered in the next Emmys, it would have to air before the end of May.